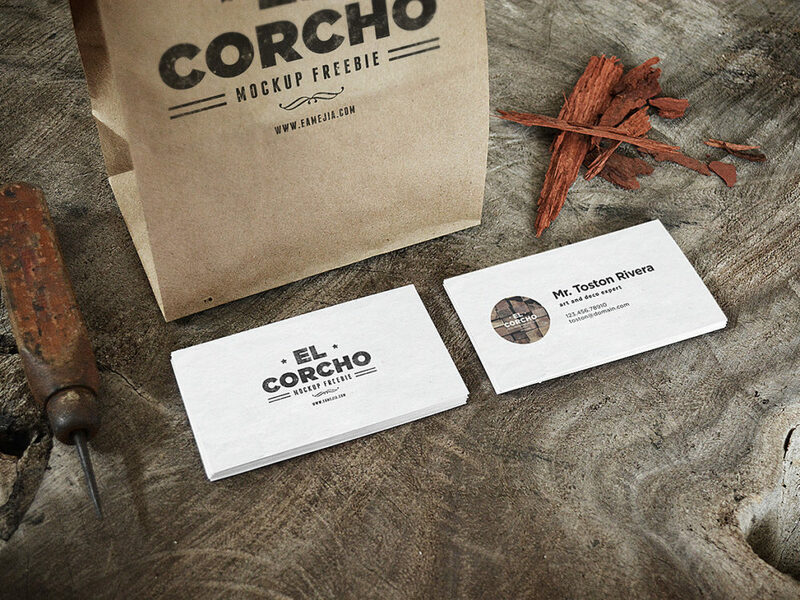 Another business card mockup placed on a wood board near the paper bag. Very simple edit with smart layers. Free for personal and commercial use. Thank you for download.